Wow your guests in a 19th century built landmark. 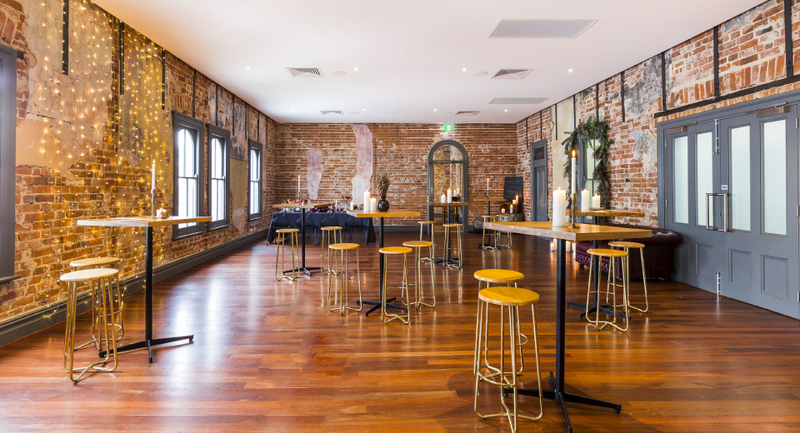 With an expert events team and truly unique spaces to choose from, rest assured that your special occasion will be in good Guildford Hotel hands. After all, we do love a little party. Chef’s crowd-pleasing Eat with One Hand or Two menu is perfect for your stand-up cocktail style soiree. If you’re after a seated affair, your guests will love the Guildford Grand Feast menu – think three or four course shared royal feast sprawled artfully across your table! So bring your good times and your laughter too, we’re gonna celebrate your party with you! 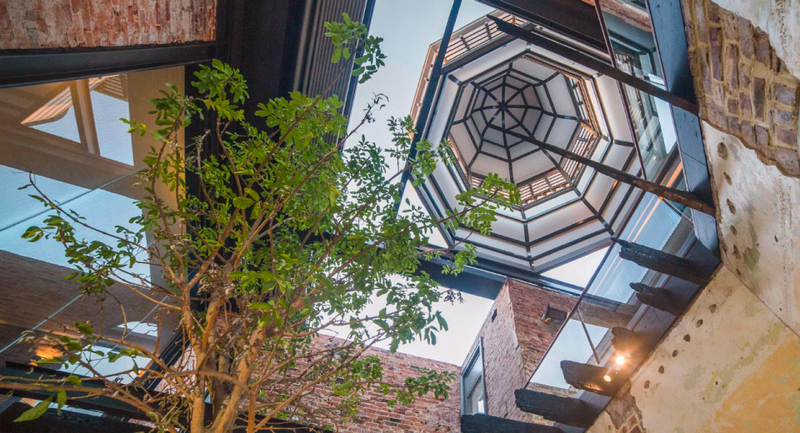 The stunning old world chamber on level 1 is infused with historic touches; the exposed brick walls, beautiful wooden floorboards and several arched doorways and windows. Flooded with gorgeous natural light from the western wall, the private space is named after the original Vaudeville Theatre adjacent to the hotel – it can still be seen through the arched windows! It was built by Mr George Hiscox who was an early owner of The Guildford Hotel, responsible for our stunning façade and belvedere you see today. This exclusive private room is the perfect location for your next cocktail event, seated dinner feast, product launch, award ceremony, engagement, birthday celebration or wedding. The elegance of the Vaudeville Room is complemented by the adjoining level 1 landing which provides a lovely welcome area for drinks on arrival. Located at the entrance to the function room, this area will be the ideal meeting place for those early comers, or even a pop up bar. Based on your event requirements, date and time we will design a tailored quote for you. Our experienced functions team will perfect your event from coordination to execution. We look forward to hearing from you soon. Available for bookings any day or night, depending on availability. Overlook old Guildford town from our level 1 James Street Verandah, 1915. Construction of this gorgeous façade and belvedere addition to the original hotel was completed in 1915. Take a step back in time - the original 1915 spiral stair case remains on show too! This space also includes a versatile internal platform offering remarkable views over the James and Johnston Streets corner of the hotel, ideal for a pop-up stand to suit your occasion. As one of the most unique areas of the hotel, it’s perfect for cocktail events. Hire this area exclusively or for smaller events, a section can be reserved for your group. Based on your event requirements, date and time we will design a tailored quote for you. Available for bookings any day or night, depending on availability. Can’t decide if you want your event to be indoor or outdoor? Hiscox Courtyard can do both! Boasting a retractable roof, have your guests gaze at the stars or enjoy the sun whilst enjoying delicious canapés and drinks. 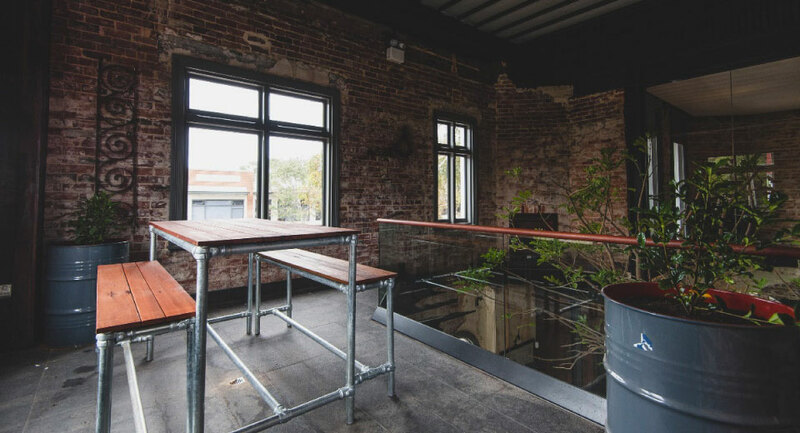 Located on the ground floor in the idyllic corner of James and Johnson streets, this exclusive space is perfect for your cocktail celebration. Hire this area exclusively or for smaller groups just a reserved section. Once our functions team establish your requirements, date and time, we will design a tailored quote for your event.